ALL-Style DOORS recommend and install Sectional garage doors manufactured by the Australian industry leaders who use only the highest quality Colorbond steel. Sectional Garage Doors are available in a wide variety of designs to compliment any architectural style. 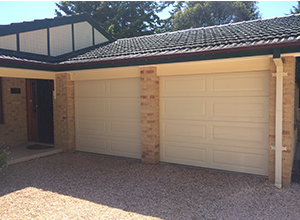 Sectional garage doors are available in all standard colorbond colours plus premium wood grain finishes and can be easily automated.